DOES EVIDENCE-BASED MEDICINE SUPPORT PARACHUTE USE? 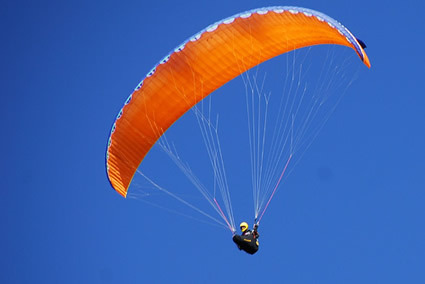 Conclusions: As with many interventions intended to prevent ill health, the effectiveness of parachutes has not been subjected to rigorous evaluation by using randomised controlled trials. Advocates of evidence based medicine have criticised the adoption of interventions evaluated by using only observational data. We think that everyone might benefit if the most radical protagonists of evidence based medicine organised and participated in a double blind, randomised, placebo controlled, crossover trial of the parachute. Evidence-based medicine for parachutes was written on September 16, 2008 and filed in Articles,Research News.